With a history that dates back to 1986, our company is rooted in the principles of superior client service and partnership. We specialize in supplying a complete line of 2″ – 56″ pigs, we have the performance based products for any application you may face. 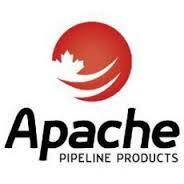 At Apache, we take pride in manufacturing high quality products and providing our customers with excellent service.